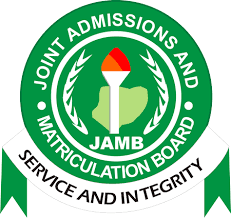 Recall that almost a week ago, JAMB had given a go ahead nod to its accredited centres to register prospective candidates. Since then, people have had varying experiences at these centres on issues bordering on shady deals by the operators and the denial of certain materials accruing to each candidate. One prospective candidate has narrated his ordeal at one of the centers. I went to Benchill Schools today to get my JAMB form being the only accredited center in warri. When I arrived at the school, the turn out of was low unlike the crowd I expected. I was directed to an office where you will create you jamb profile if you have not done yours for a fee of N100, I had already created an account before going to the school but I was told I will still pay the Hundred naira. I paid and then collected a JAMB registration template. I headed to the other office when the e-pins are bought and the application processed and I was told that everything is #6200, #5500 for the e-pin and #700 for the book. I was surprised because I read it online that it was #5500 for both the e-pin and book. I had no choice but to pay then I was given just the required novel IN DEPENDENT by Sarah Ladipo Manyika and nothing more, no jamb brochure, no syllabus. I asked for it but I was told I was too inquisitive that it's not available. I was told to come on Monday for thumb printing. After everything I was just thinking deep, why is the price higher than the one slated by the exam board (JAMB)? why did they give me just a novel when I am entitled to other things? That was the questions running in my head when I left. Tell us what is happening in your area.